How to use oil consecrated? We all know that butter oil is an essential attribute of Christian worship and the life of any Christian. But not everyone knows that for example lamp and oil blessed on the relics of Saints is not quite the same thing. Although if lamp oil purchased in the Church shop it also sanctified. Lamp or wood oil as the name implies is used in lamps. And then, the oil used in the sacrament of Ilovemoney impermissible to use in lamps, and especially pour it or mix with other liquids. This oil can be used like Holy water with a difference that they cannot be sprinkled premises. The oil should also be used by anointing the human body, to cure disease. But one should always remember that heals, not the oil, but God through the faith of those who pray. If a person is healthy, after morning prayers can cross to anoint with oil on the chest and forehead. There is oil, consecrated on the relics of saints and their icons. This oil is a reminder of the Shrine, before which people were doing the prayer. This oil can be applied to the human body or sore spots. The prayer should be read to the Saint whose relics or icon, it is consecrated, and it is possible to read the prayer our father... or to turn to the blessed virgin Mary. If people do not know any prayers, it is not forbidden to pray in your own words, it is important that the prayer was accomplished with diligence and of course with faith. The oil is stored in specially cookware sold in stores at Temples or in a clean vial at the appropriate shrines. Do not store together with objects not belonging to ecclesiastical paraphernalia. For example: together with cosmetics, home first aid kit. The proper place of the oil next to the icons. The oil does not need to be put in the refrigerator when properly stored oil long lasting freshness and transparency. Never buy the oil out of Church benches and shops. Regardless of how it is called and what is its origin since it is considered consecrated only after committing on him the sacrament of anointing of the sick, consecration of relics, etc. Unhallowed allowed to use only lamp oil. There is a rule, oil should be disposed of. If lamp oil is obsolete it is better to pour it into running water. Not to be confused with the myrrh and oil. Myrrh is the oil from aromatic substances by a special rite consecrated on Holy Thursday. In Russian Orthodoxy it makes the Patriarch. 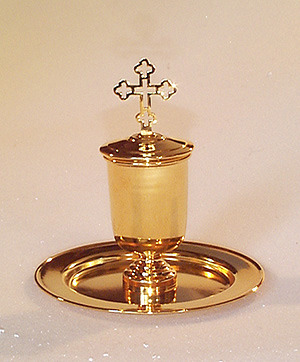 For various reasons, people turn to the Holy relics. Someone is looking for a miracle, hoping for help or healing. Someone carries a normal interest. Someone who trembles before the particle is ancient history. However, whatever the objectives pursued, in reference to the Shrine you need to follow certain rules. Approaching the Holy relics, you need to bow twice. If you have no queue, you can do the prostration, but in any case, do not delay other people. Women should not be despised. Of course, clothes should be modest. Hurry and haste are inadmissible. Who is coming to the Shrine with awe, receives the grace of God, so say the Ministers of the Church. After the bow need to cross, then you can touch cancer. 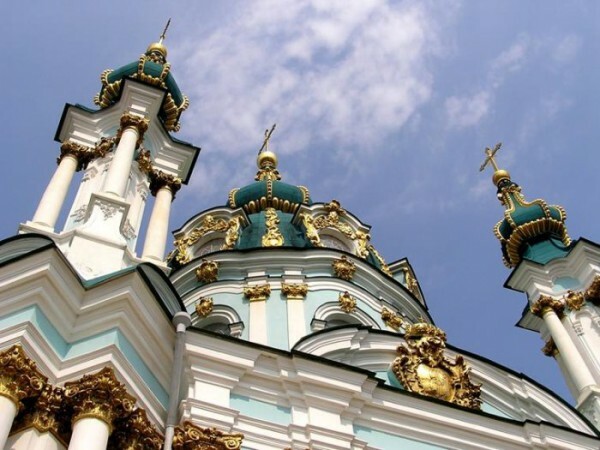 In any case can not be independently applied to the relics, icons or images of the Saint, all that needs to convey to the Ministers of the temple. If enabled, you can attach to the hand or the feet of the Holy. App-to-face is considered the impertinence. After read a prayer and mentally refer to the Holy. Tell us about your trouble, ask for advice, because the attachment to the Shrine is another way to appeal to God, to offer him their respects. After the application need to cross, to bow and exit without haste and bustle. Believers, going to Church, kiss the icon. But to put the candles at the altar and venerate the icons properly, with prayer and bowing, respecting the customs and without disturbing other worshipers. Where and how kissing the icon, and when is it appropriate to touch her forehead only can tell the priest before or after the service. For applying (kissing) to the Holy gospel, Holy relics, the Cross and any icons should be approached quietly and reverently, saying mentally a prayer, twice to cross, take two deep bow before kissing. Attached to the icon. After re-cross and bow. Bows it is better to make the waist, touching the hand of the earth. Follow the pious rule while applying for the festive icon to the Cross: women are required to skip ahead of the children, then men and older people. Leave the area surround coats and bags before you approach the iconostasis. Deeply faithful kiss the icon of the lips, thereby expressing love and respect to someone who is on the icon depicted. The touch of lips is a sign of deep faith and love, humility and reverence. Touch the icon's forehead literally means "hug". Everyone chooses his own way, loved him. Attachment to the icon - it's a celebration that rewarded the faithful the iconis built-to-face, it depicts the mental and touching that person. On the icon of the Savior kiss only the legs (with the half-length image - hand) icon of the Mother of God and icons of all saints. If you applied to the icon of the miraculous image of the Savior - the edge of the Board, which outlined the face. Approaching the icon of the beheading of St. John the Baptist, kiss the image of the hair. If the icon shows several saints, prokladyvalas to the handle of one of them only once (so you won't delay other prayers. Do not kiss themselves the faces of Christ, the virgin Mary and the saints depicted on the icon. To venerate the Holy relics should also be after the two prostrations, and thoughtful prayers. Once should be applied to the feet and to the head of a Saint or to a single head. Moving away so as not to disturb others, to make a third prostration. The icon for an Orthodox person is a great relic, a window into the spiritual world. Orthodox Christians venerate is not the material from which made the image, and paint, but directly to the person depicted on the icon. In the Christian tradition it is customary to call written images of the great ascetics of piety the Holy icons. 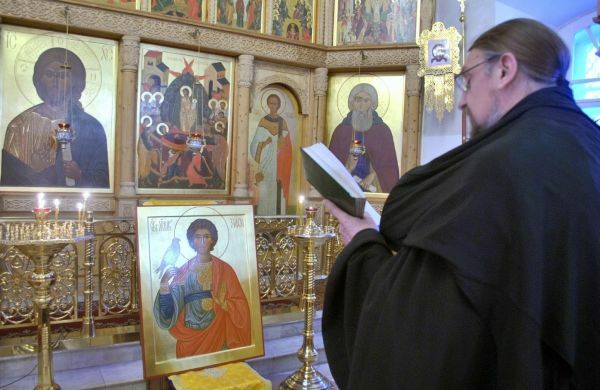 In the Orthodox service is a special rite of sanctification of various icons. Every Orthodox people want to have in your house, consecrated the Shrine is a sacred icon. Icons which can be purchased at the temples, already sanctified. Some people are want to buy the Holy images, not only in churches but in any shops. 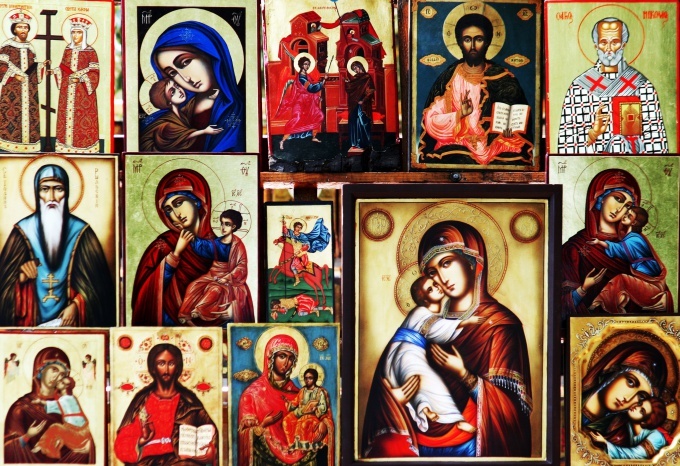 In such cases, if the icon is painted according to the Orthodox Canon, the image must be blessed. Most of the icons are consecrated in temples. This can be done at any time when the House of God, being a priest. Usually the icon is consecrated after the morning service. On holidays and Sundays, after the Liturgy or performing requested services. In order to sanctify the icon you want to bring the Holy image into the temple and ask the priest about sanctification. You can also pre-apply to the seller in the Church shop, izjavlja the desire to sanctify the Holy image. Icons can also be sanctified, and before the evening service. All depends directly on the employment of a priest. Some people can ask the priest about osumenyi icons at a time when the priest has to perform some religious rites at home. In this case, the Holy way, you can consecrate immediately before or after performing the rites.